Stress is a terribly invasive trigger, leading to more migraines and interfering with treatment. 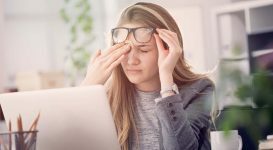 If you can find ways to drastically reduce your everyday stress – and counteract your body’s stressful response – you may notice fewer attacks and much more manageable symptoms. Relaxation exercises are good starting points for a less stressful life. If you’re having trouble tapping into a meditative state or your approaches are losing effectiveness, consider visiting a therapist for a fresh take and some new approaches to stress management. Acupuncture has been traditionally used to stifle nausea and vomiting stemming from a number of causes. Simulating one particular acupuncture point (PC6) has helped to relieve nausea associated with chemotherapy and motion sickness, and so may help with your migraine nausea. Acupressure is a less invasive technique that may bring comparable results. 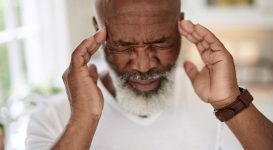 Acupressure can reduce migraines by pressing firmly on specific points to reduce nausea and vomiting significantly – research reveals that it can even replace antiemetic rescue medication. The bonus is that you can eventually practice the pressure technique yourself, in the comfort of your own home. When you experience nausea without vomiting, you may find some relief with NSAIDs (such as ibuprofen), especially when taken early in the attack. A high dose can cut down the migraine pain quickly, which should help to limit or eliminate the accompanying symptoms, like nausea. 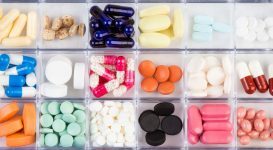 If you’re not able to keep anything down, you must find another route for your medication. 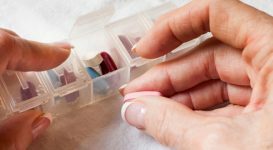 Taking an anti-emetic (medicine to stop the nausea and vomiting) or triptans (drugs that aim to quickly relieve the migraine itself) in suppository form can increase your chances of getting the medication into your bloodstream quickly. In the case of severe nausea and vomiting, you may need to be admitted to the hospital: water and electrolytes can be replenished intravenously, and your health care team can make sure your body absorbs the medicine you need. If you can stop the migraine before it begins, you can sidestep the unpleasant nausea. 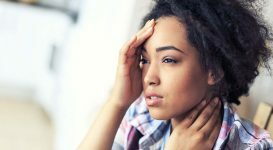 Consider a preventative migraine management plan, focusing on staying far away from food and environmental triggers, and incorporating the right medications: some studies have found that tricyclic antidepressants can partially or fully relieve nausea and vomiting with migraine. It’s worth revisiting your migraine management plan with your doctor from time to time, to make sure you have the best treatment combination for your symptoms. What happens to migraine when you enter menopause? Barbara discusses her experience with migraines and menopause, and what you can expect.